Get to know all the birds that will flock to your yard throughout the year, and how to attract those that need a little extra persuasion to visit. This guide includes tips and advice for creating a bird-friendly habitat and identifies foods, plants, and landscaping features that birds find appealing. 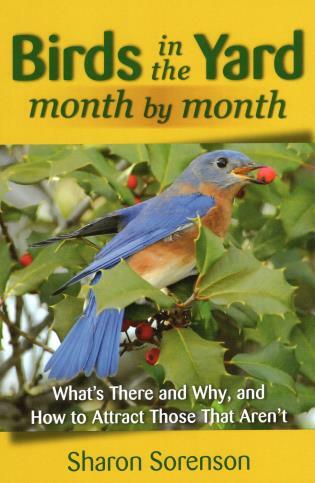 Sharon Sorenson writes the biweekly "For the Birds" column for the Evansville (IN) Sunday Courier and regularly presents birding workshops for the Nature Conservancy and Indiana Audubon Society. She is the author of a number of student reference books, including How to Write Research Papers, How to Write Short Stories, and Webster's New World Student Writing Handbook. She lives in Mount Vernon, Indiana.